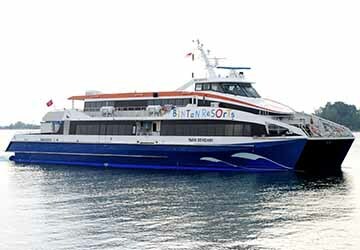 Bintan Resort Ferries operate the ferry connection between Tanah Merah in Singapore and Bintan Island in the Riau Archipelago of Indonesia. 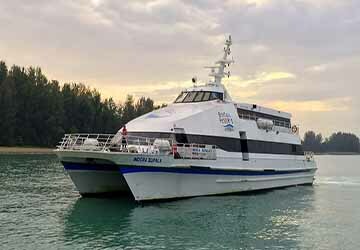 Bintan Resort Ferries catamarans operate at cruising speeds in excess of 37 knots and feature high tech navigation and engineering monitoring systems to ensure a smooth journey. 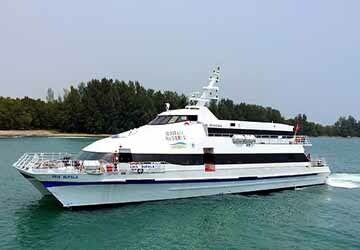 Each Bintan Resorts ferry has 300 seats, 57 of which are the premium option - Emerald Class. Passengers travelling in Emerald Class can skip the line for immigration clearance on arrival in Bintan, and let specially assigned staff take care of the process for them. Directferries.com provides an impartial ferry comparison service allowing you to view numerous ferry company timetables and fares in one quick and easy search. 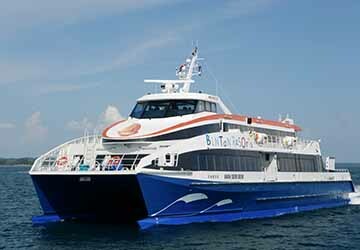 Compare Bintan Resort Ferries timetables and prices now with all alternative ferry operators before booking your ferry ticket.